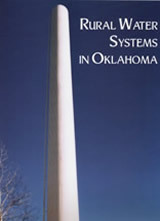 Building upon the OWRB's successful publication, Rural Water Systems of Oklahoma (1980 and 1988), the latest online update of Oklahoma's rural water supply systems includes the most comprehensive and concise information available on these vitally important facilities. Particularly useful to system managers, engineers, water resource managers, and planning officials, this information assists in the development and improvement of existing systems and serves as an important tool making local economic development decisions. Systems commonly utilize the information in planning system extensions, merging customer information, and reducing response times to local emergencies. Water Board staff continue to collect and maintain digital information from more than 750 individual rural water systems located throughout Oklahoma. Geographic Information System (GIS) attribute data-including water line sizes and system/municipal boundaries-is available for each system, along with contact information, system size, population served, and type of water source. GIS coverages of the water systems and lines can be downloaded below; updated system maps may also be viewed through the OWRB's Public Water Supply Systems Map Viewer. For related GIS requests, please contact the OWRB. The OWRB extends thanks to the Oklahoma Department of Environmental Quality, Oklahoma Rural Water Association, Oklahoma Department of Commerce, University of Oklahoma Geo Information Systems, and water system operators throughout Oklahoma for their collaboration and assistance in maintaining updated information on the state's rural water systems.